Located 1640 feet from Istanbul Archaeological Museum, Glamor Hotel features a sea-view terrace, and air-conditioned rooms with free WiFi throughout the property. Hagia Sophia is just 2297 feet away. Great location. Sumptuous breakfast. Gracious hospitality and courteous staff. Located in the Fatih district in Istanbul, 1312 feet from Hagia Sophia, Antusa Palace Hotel & Spa features a restaurant, bar and free WiFi throughout the property. The location was amazing, just off the major streets and close to tourist attractions and the metro. The staff was super helpful, always providing recommendations and directions. Free breakfast was tasty and a bonus. Highly recommend and would definitely stay here again. Very good value for money! Featuring a terrace, Grand Peninsula Hotel offers rooms in Istanbul, 1969 feet from Hagia Sophia. This property is set a short distance from attractions such as Blue Mosque and Column of Constantine. Great location! Just 5 minutes walk to the Blue Mosque and Hagia Sophia! Very friendly stuff! Room was clean cleaning was every day! Breakfast is good. Good terrace it the rooftop. Airport shuttle is not expensive if arrive late like me. Sometimes Wi-Fi hat not enough speed but I can’t say that it’s a witness. Really recommended this place to stay! Located in Istanbul, a 4-minute walk from Column of Constantine, Artika Hotel has accommodations with a garden. Popular points of interest nearby include Blue Mosque and Basilica Cistern. Everything. The room is spacious and clean. The bathroom is clean and with good ventilation. Set in the business district of Atasehir, Park Inn by Radisson Istanbul Atasehir is 30-minute drive from Sabiha Gökçen Airport. Everything was great. Staff, room, facilities. Free parking. 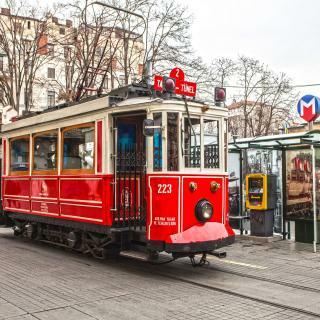 Located in the old town area in Istanbul, Orient Express Hotel is just 820 feet from the tram station, Marmaray Train Station and the sea side. This hotel was located in the best part of town. Located in the Old City of Istanbul, this hotel is within walking distance to Hagia Sophia, Blue Mosque and Topkapi Palace. Best Point Hotel Old City offers air-conditioned rooms. great location, very kind stаff. Located within a 5-minute walk of Taksim Square in Istanbul, Mukarnas Pera Hotel features a fitness center and a terrace, as well as free WiFi. It’s very close to Taksim square, and you can get a taxi quick. White House Hotel Istanbul features a prime location in the heart of the Historical Peninsula, within walking distance to many attractions including Hagia Sophia, the Blue Mosque and the Grand Bazaar.... I always come back to Whote House everytime i come to Istanbul because it really like home for me. Located only 984 feet from the Blue Mosque, Sultan Mehmed Hotel features a 24-hour front desk and free Wi-Fi access in all areas. Hagia Sophia and Basilica Cistern are 2133 feet away. Super comfortable beds. Excellent host. Sparkly clean facility. Just 5 minutes’ walking distance from the historic Sultanahmet area with Blue Mosque, Hagia Sophia and Topkapi Palace, Fer Hotel offers a restaurant and a fitness center. Amazing hotel and incredible staff...can't wait to go back! Offering a rooftop terrace and courtyard, Berk is in Sultanahmet, a 2-minute walk from Blue Mosque. It has rooms with free Wi-Fi. The location is fantastic, the view from the rooftop terrace incredible, the garden courtyard cozy. 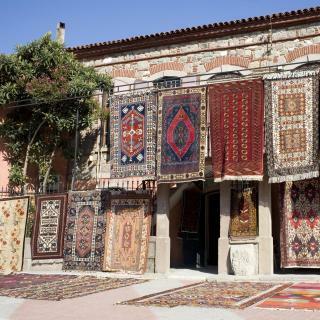 This charming hotel is quietly located in Istanbul’s lively Sultanahmet district, a 5-minute walk from the Blue Mosque. It offers free WiFi and an inner courtyard with a fountain. Very clean, quite, and comfortable place to stay as long as you want. On average, 3-star hotels in Istanbul cost $49 per night, and 4-star hotels in Istanbul are $83 per night. If you're looking for something really special, a 5-star hotel in Istanbul can be found for $155 per night, on average (based on Booking.com prices). On average, it costs $55 per night to book a 3-star hotel in Istanbul for tonight. You'll pay around $87 if you choose to stay in a 4-star hotel tonight, while a 5-star hotel in Istanbul will cost around $141, on average (based on Booking.com prices). Which hotels in Istanbul are good for couples? These hotels in Istanbul are highly rated by couples: White House Hotel Istanbul, Blue Tuana Suite, and Sultan Mehmed Hotel. Which hotels in Istanbul offer an especially good breakfast? 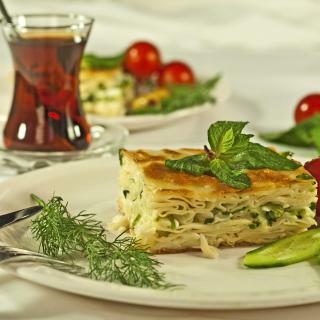 For hotels in Istanbul that serve highly-rated breakfasts, try Sultan Mehmed Hotel, Peradays, and Idylle Hotel. Which hotels in Istanbul have nice views? Fraser Place Anthill Istanbul, Blue Tuana Suite, and Swissotel The Bosphorus Istanbul got great room view-related reviews from travelers in Istanbul. Which hotels are the best ones to stay at in Istanbul? Katelya Hotel, Renata Boutique Hotel Sisli, and Peyk Hotel are some of the popular hotels in Istanbul. The average price per night for a 3-star hotel in Istanbul this weekend is $117 or, for a 4-star hotel, $168. Looking for something even fancier? 5-star hotels in Istanbul for this weekend cost around $255 per night, on average (based on Booking.com prices). What are the best hotels in Istanbul near Ataturk Airport - European Side? Travelers who stayed in Istanbul near Ataturk Airport - European Side (IST) have said good things about Tav Airport Hotel Istanbul, WOW Istanbul Hotel, and WOW Airport Hotel. Many families visiting Istanbul loved staying at Sultan Mehmed Hotel, White House Hotel Istanbul, and Nomade Hotel Exclusive. Which neighborhood is the best one to stay at in Istanbul? 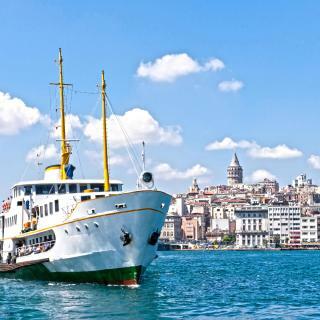 Old City Sultanahmet, Taksim, and Ortakoy are popular with other travelers visiting Istanbul. 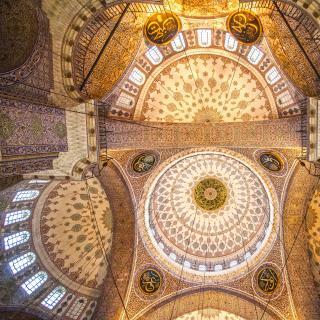 The city of Istanbul offers a trip unlike any other, encompassing Asian and European cultures to create a heady mix of art, music and food. The amazing Old Town and the Sultanahmet are home to iconic Blue Mosque and the Hagia Sophia. More history is hidden in the Topkapi Palace, where you can glimpse the splendor and opulence of Turkey’s Ottoman heritage. Take a stroll through the historic center or the busy Taksim Square before watching the sun set behind countless mosques and minarets. Local fish markets and numerous restaurants lining the bridge to Galata offer the Golden Horn’s daily catch. Getting to Istanbul is an easy trip from Ataturk International Airport or Sabiha Gokcen Airport. Whether you want a luxury hotel on the Asian side or a budget hostel in Taksim Square, Booking.com has over 1,000 great accommodations for a vacation in Istanbul. The Hotel is just a step away from the underground station "osmanbey" away, which is according to the traffic situation in Istanbul very important for the transportation. Not important issue is that the hotel is at "Nisantasi", One of the most popular areas Istanbul. Many different types of restaurants and beautiful locations to visit in that area. The hotel room was perfect itself very well designs in the most Porten thing is it's it's very clean. Another issue is the stuff of very helpful friendly and polite. Special Thanks to Kubilay and Burcu at the frontdesk. I recommend that hotel to everyone who plans to visit Istanbul. Went for a short visit, longer next time! By staying in Hotel Spectra right down on the square, we were able to easily walk to the Blue Mosque, Basilica Cistern, Hagia Sophia, even the Grand Bazaar and the Spice Bazaar without worrying about transportation. 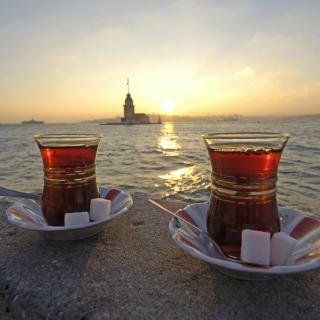 A lovely terraced cafe overlooking the Bosphorous at the end of the park past the Topkapi Palace would a wonderful spot to have a pot of tea and relax. The hotel staff were wonderful, too, and we would invite any of them to our home back in Canada! We specially enjoyed visiting Hagia Sophia, the Blue Mosque, the Topkapi Palace,the Archaelogical Museum and the Basilica Cistern, all of which were a short walk (about 5 minutes or less) from Hagia Sophia Hotel. Other highlights were the Chora church and Suleyman Mosque. We went on a half day excursion with Effendi Travel to visit these. We also used Effendi for our airport transfers. We were very impressed with their service. We mostly ate at the pub restaurant in our hotel. Our favourite foods were Hummus and Baklava. Tried different food in different restaurants, all are fantastic. Nice place to even stay in the hotel room. Bosphorus tour was amazing, it would be much better if they left us more time in the small village. The location is perfect near taksim square and İstiklal street, the staff are highly professional, the room is very clean and comfortable, the breakfast is delicious. The city view from 19th floor is remarkable. They also have very good and cheap shuttle service to airport.